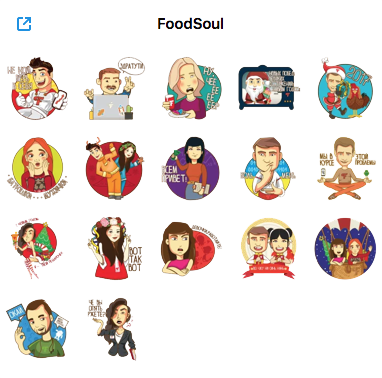 FoodSoul company is interested in a mutually advantageous long-term collaboration. Our goal is not only our own benefit; we help you develop and earn. Why is it advantageous for you? 1) You will have no problem with client attraction. Our service is demanded and, most importantly, available not only for companies that were established long ago and have a stable income, but also for delivery companies that have just started operating. 2) We guarantee monthly bonuses for your work. 3) All credits will be available online in your personal account, and you will be able to apply for the money withdrawal at any time. 4) A flexible system of money withdrawal: the money is transferred to both bank cards and bank accounts. 5) We offer a permanent income that will grow constantly, while you just have to work on result increasing. 6) All necessary consulting and full training in client attraction are arranged for you. 7) All necessary help will be provided for you in settlement of disputable situations and issues arising. Collaboration with us is the choice for active and ambitious people interested in financial independency. The convenience of the collaboration with us is a possibility to work from any place in the world. Your task is to attract a client, while we undertake to arrange the whole client service and further work; you will get a percent share of the amount spent by your clients for our service in the future. You can also become our official representative in other regions of the world. Join us right now and let us earn together! Contact us, and our manager will get in touch with you as soon as possible!